Jeremy and I have been talking for some time about creating a listing of whiskies to have on the shelf. We’ve tasted lots of whiskey and own hundreds of bottles – but what about those go-to bottles that we replenish when the bottle is finished or that we recommend to others? When giving those bottles some thought we felt it a good idea to share with you some of our favorite bottles that we usually always have on hand. Here were our ground rules – as we created our separate lists. The whiskies should be generally available (although a few listed are more challenging to find – I’ve found each of them on the shelf in CO in the past couple of months). The selections should cover a variety of whisk(e)y styles and regions (no preset numbers required per category – just based upon what you go back to or recommend to others). The overall bottle cost should be $100 or less with a wide variety of price ranges included in the individual listings. When we each submitted our lists – Jeremy had narrowed his to ten (plus one honorable mention) and I narrowed mine to eleven (with four honorable mentions). When comparing the two lists we had only ONE overlap – which made for a nice 20 whiskey listing to have on the shelf (a couple of my honorable mentions were also on Jeremy’s list). When compiling our notes into one we ended up with 7 scotches, 4 bourbons, 3 ryes, 3 Irish, 2 world, and 1 American single malt. In looking at that breakout it makes sense to split our Twenty for the Shelf into two parts. 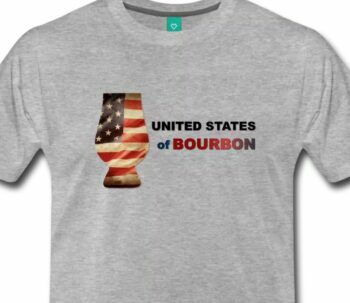 Part 1 will cover the 7 scotches and 3 Irish whiskies and Part 2 will finish with the 8 American bourbons, ryes, and single malt + the two world whiskies. A few notes on the listing below. If the bottle has previously been reviewed on ModernThirst you can click on the name to go to that review. The pricing of the bottles will be broken down into 3 categories: $< $35, $$ for $35 – $75, and $$$ for >$75 (the prices are based upon averages of what we can find the bottles for in our area). 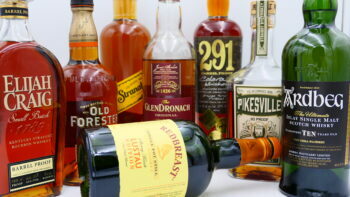 The whiskies are sorted within the category based upon price. 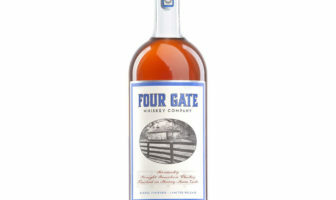 The scores received on ModernThirst are included, if reviewed, with an MT indication, and if the Proper Pour Whisk(e)y Club has reviewed the whiskey, the group average score from multiple tastings (in most cases both known and later blind), are indicated by PPWC and the rating on a 100-point scale. It is interesting to note how close many of the scores are with completely different groups tasting. Just to put all of these bottles into context – based upon current pricing in our area you could pick up all 20 bottles for less than $1,200 total with the average bottle coming in right at $58. Or for the cost of one outrageously priced bottle on secondary – you could nicely stock a bar. 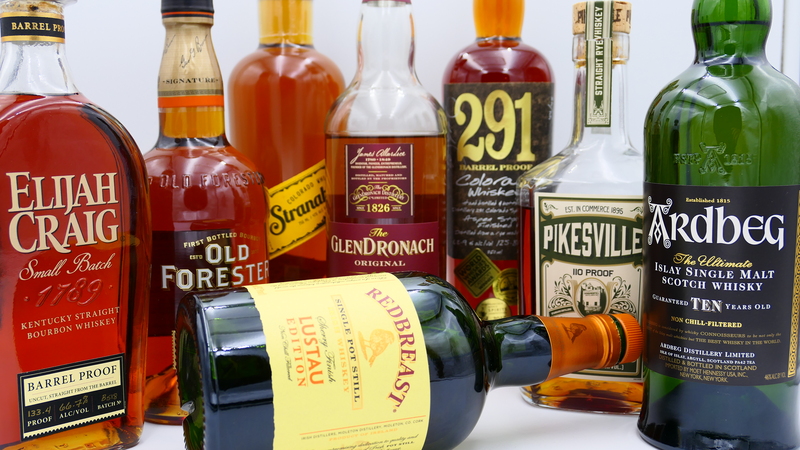 So, without further ado – here is part one of Twenty Whiskies for the Shelf. I’ve indicated Jeremy’s picks with a JR at the end of the descriptor and mine with a WJ. Enjoy. Monkey Shoulder [$]– This should be your go-to blended scotch for mixing. This is sweet and smooth. 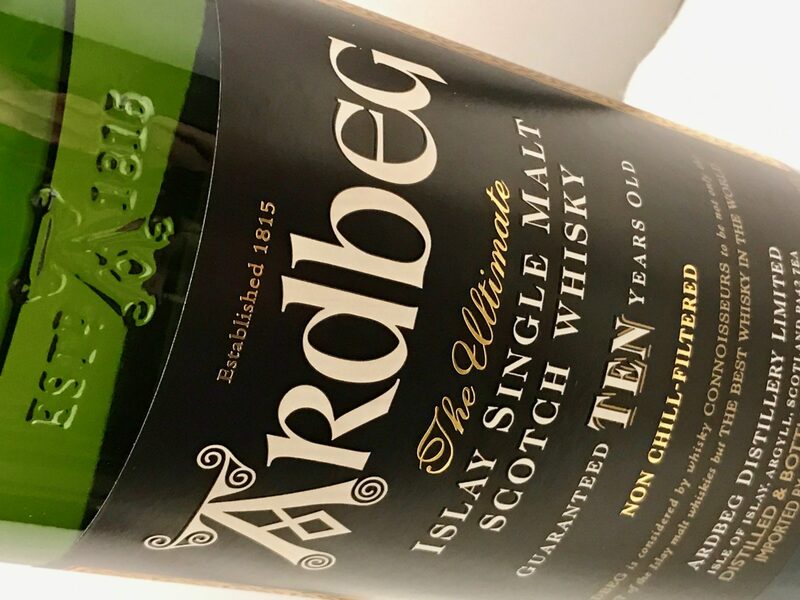 It may have but one note, but it plays that note very well [not rated on MT, or by PPWC] JR.
Ardbeg 10 Year Old [$$]–A highly touted and awarded (World Whisky of the Year in 2008), solid example of Islay whisky. It comes in at a good price point and is a whisky that I’d encourage you to spend some time with if you have not already. A wonderland of tarry, peat smoke, burnt toffee sweetness, citrus zestiness, and pepper spice [MT 85.5; PPWC 89.5] WJ. 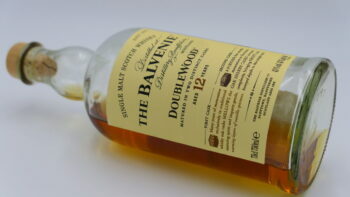 The Balvenie DoubleWood 12 Year Old [$$] – I’ll just repeat the scoring box descriptor from our ModernThirst review as it best sums up this dram: The epitome of a high B+ scotch in my book. A quintessential Speyside that will probably always occupy a place on my shelf. A solid whisky – classic[MT 88; PPWC 88] WJ. GlenDronach 12 Year Old [$$] – I had to have this one on the list as it fills my Scotch decanter (and it is a large decanter). Not the sherry bomb of the A’bunadh, but hard to beat for the price. A great introductory sherried scotch that is a combination of Pedro Ximenez and Oloroso sherry casks. Raisin notes, dark fruits, with plum, and apricot with a touch of spices. The GlenDronach Distillery in general is one of my favorites [No MT; PPWC 87.5] WJ. Clynelish 14 Year Old [$$] – A favorite malt in the Compass Box blends (and I really like those). Floral, malty sweetness with some honeyed waxy notes. A touch of honey-ginger spice round out the palate. A well balanced whisky that is hard to beat for the price – a must for the shelf [No MT – video; PPWC 89] WJ. Aberlour A’bunadh [$$$]– Reasonably priced sherry bomb – aged exclusively in first fill Oloroso sherry butts. You MUST have a sherry-finish around. This whiskey has gone up in price recently (around 35% in the past few months), but it is still readily available for under $100. If it continues to increase, I will remove this from my list. One of the charms of this dram – price point. [No MT score; PPWC ratings of 89-93(three different bottlings)] JR.
Ardbeg Corryvreckan [$$$] – Just beats out Lagavulin 16 for my peated scotch to have on hand. Amazing stuff. This peaty Scotch is available for just at our $100 limit, at least where I live. I prefer this to the Uigeadail (which Wes likes better), because of its bold citrus-and-coffee encrusted steak flavor profile [MT 91; PPWC 90.5] JR.
Jameson [$] – Beloved Irish whiskey that sips as well as it mixes. You can’t beat the price, either. Jameson is to Irish Whiskey as Buffalo Trace is to bourbon. It’s always available, never lets you down, and it defines its type. [No MT; PPWC 87] JR.
Redbreast Lustau [$$] – A 9-12 year old single pot still whiskey that spends an additional year in Oloroso sherry casks from the Bodegas Lustau in Spain (after spending time in traditional bourbon and sherry casks for the previous maturation). Dark fruits, some honey sweetness with a spiced mouth coating goodness round out this tasty dram [No MT; PPWC 91] WJ. Bushmills 16 Year Old [$$] – One of my favorite Irish whiskies, along with the Bushmills 21 and Tullamore DEW 18 which both push past the $100 limit. A combination of bourbon, oloroso sherry, and port wine casks make up this bottling. A distinct citrus, blood orange, syrupy fruit, malt sweetness balanced with just a touch of spice. A different and enjoyable experience [No MT; PPWC 89.5] WJ. 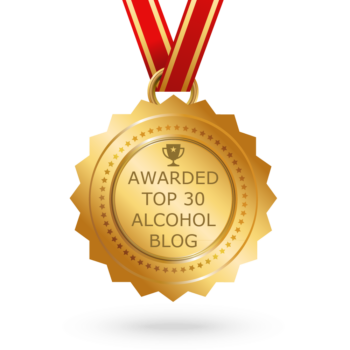 Check back soon for Part 2 of Twenty Whiskies for the Shelf. Senior Staff Writer, Wes, was born and raised in Darlington, South Carolina and attended college at the United States Air Force Academy. After flying helicopters for the Air Force and teaching at the Air Force Academy, he retired in beautiful Colorado Springs, Colorado, after twenty years of military service. He now works in public school education, is married with three children, and leads the monthly Proper Pour Whisk(e)y Club. You can follow him on Twitter @WesModernThirst and e-mail him at Wes@ModernThirst.com.